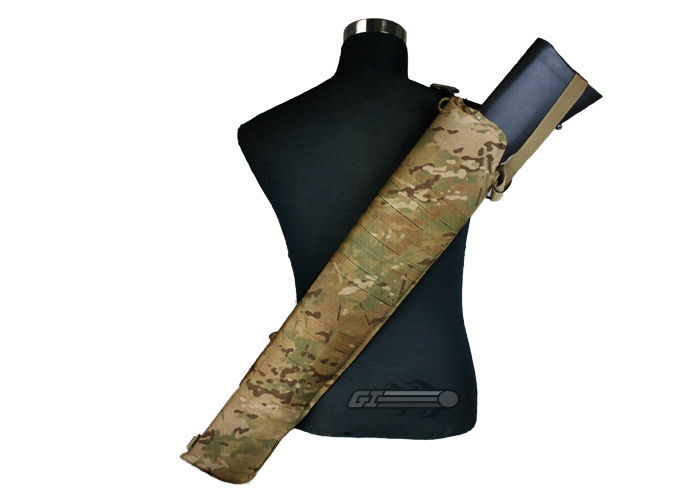 The OE Tech Molle Shotgun Scabbard is the best way to keep a shotgun on your person as a high power back up. Carry your shotgun as your side arm with ease. 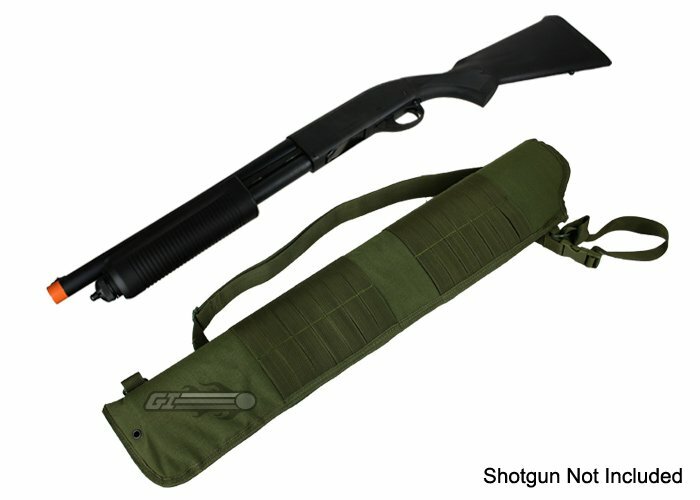 This shotgun scabbard is equipped with a removable sling, molle straps, and security line/buckle. 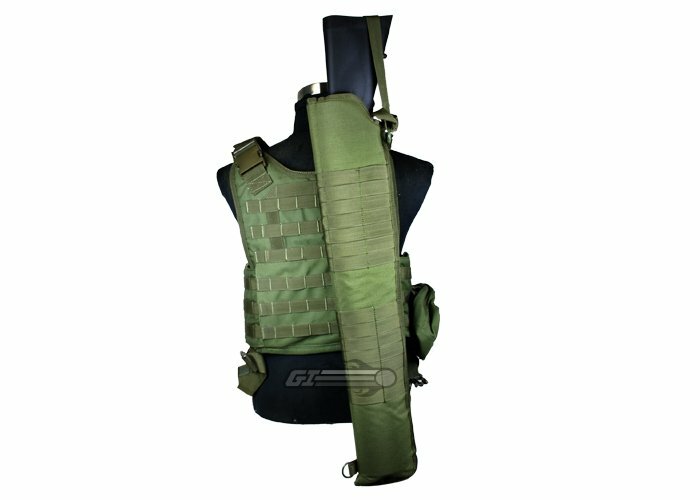 There are molle loops around the scabbard for ambidextrous use or for mounting additional pouches. Shotgun carrying and storage has been made easy by OE TECH. Shotgun and vest not included.